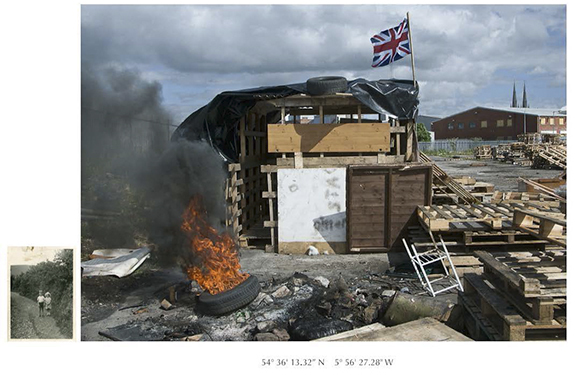 In Catharsis: Images of Post-Conflict Belfast, I explore to what degree the language of the snapshot contributes to or obscures our understanding of time and place. Juxtaposing snapshot photography from my Belfast family album with newer documentary images of urban Belfast in the post-conflict present, I situate each image in relation to an unspoken memory, and a troubled history, while marking each piece with its GPS coordinates, as a reference to its military historical legacy. 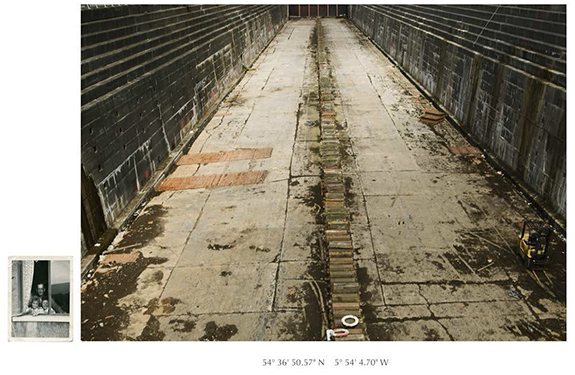 Each site photographed is a former ‘Troubles’ site, now a Tourist site. Walking along the Peace walls on its Protestant side, I recall personal family album images taken on the Catholic side. 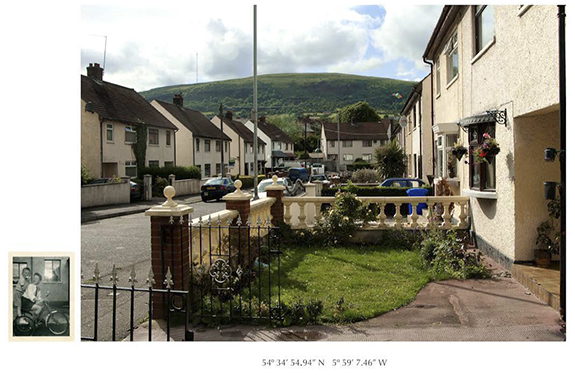 The GPS is a reminder of Belfast’s history with its absent military ‘presence.’ The stark contrast in scale and genre, between the personal album images and the more public documents helps shape an understanding of the gap between them.